For all of the Doctor Who fans with a love for high heels, I think I may have found the heels you have been looking for! 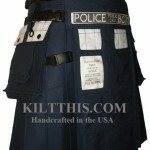 Nothing says I love Doctor Who quite like a pair of exploding TARDIS heels! In the past, I have posted a ton of awesome and super geeky heels ranging from some swarovski crystal encrusted Batman heels to some amazing Super Mario Bros high heeled shoes but I think these Doctor Who inspired exploding TARDIS shoes might be my all time favorite. 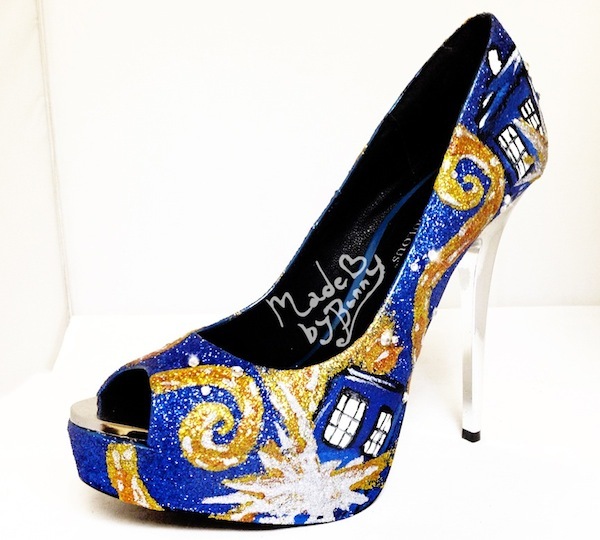 These custom glittery exploding TARDIS high heels come from the clearly awesome Made By Bunny. Rather than selling these shoes, she does custom decorations on shoes you already own. 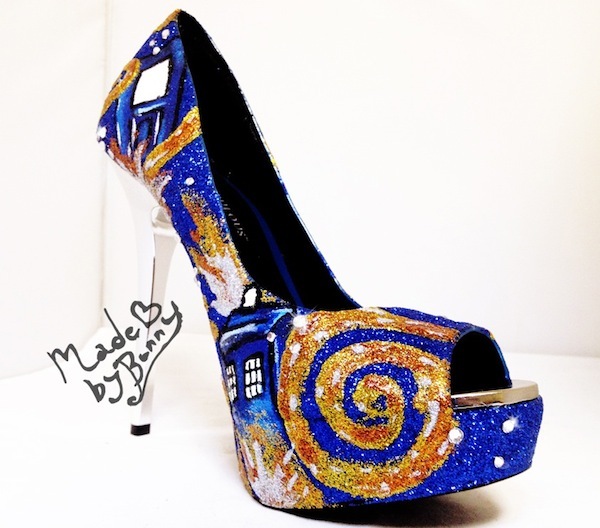 To make sure you already have the style and size of shoe you like, you send her shoes you already own and then she will make custom designs like this amazing pair of TARDIS heels for you. I don’t know about other designs but at least in this case, having heels custom done like these TARDIS heels with glitter and rhinestones will cost you $150 (which seems reasonable considering how awesome these appear to have turned out). That sounds like a much better idea to me than just buying shoes and hoping they fit right because I can’t even recall how many pairs of shoes I have tried on that should have fit fine based on the size but didn’t fit quite right or just didn’t feel good. 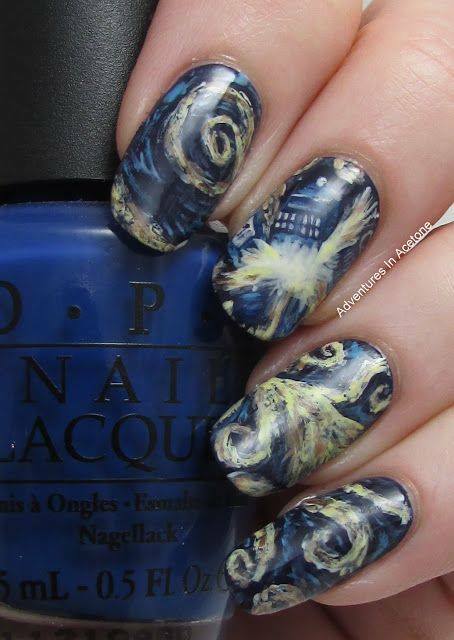 Being both a fan of Vincent Van Gogh’s style of painting as well as Doctor Who, I love the painting of the exploding TARDIS from Doctor Who. 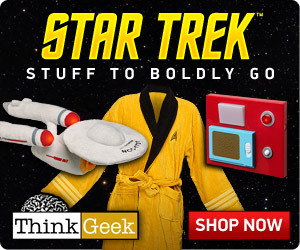 Well, now it seems you can get that design as a t-shirt thanks to the amazing folks over at ThinkGeek! 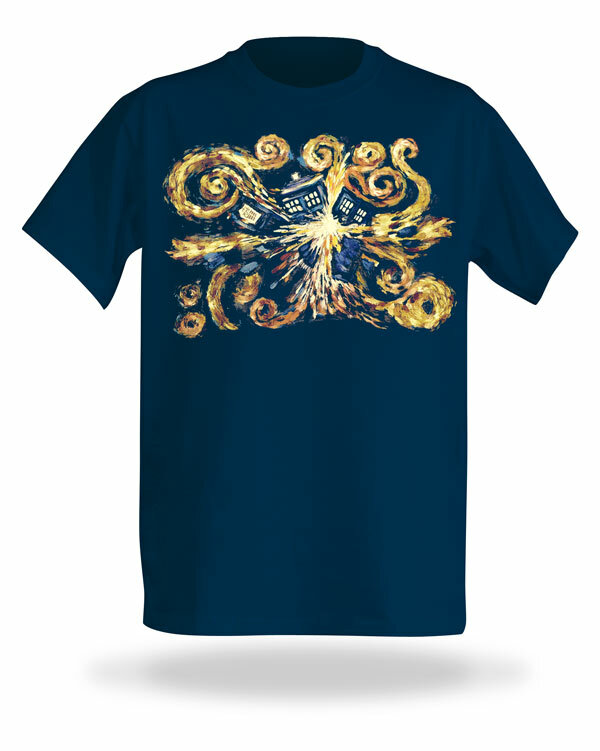 For the Doctor Who fans out there that love the exploding TARDIS painting, ThinkGeek is selling this Van Gogh TARDIS t-shirt for just $17.99 (up to $19.99 for larger sizes). 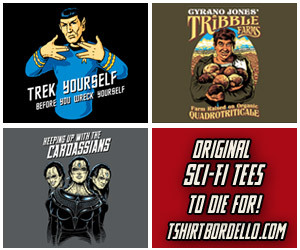 I need another Doctor Who shirt like I need another hole in my head (I’ve probably got at least a half dozen Doctor Who shirts already), but I think I need this shirt!